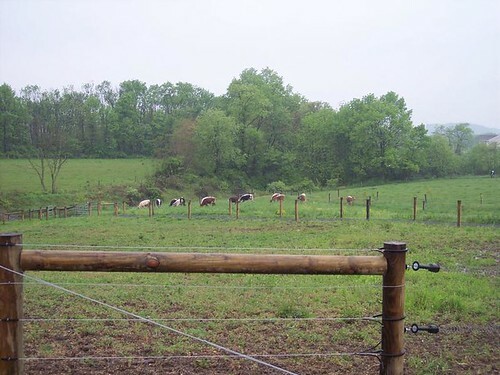 Located in the Irish Creek Watershed in Berks County, the Woolf farm is a milking operation with 80 cows on 53 acres of land. Concerns about manure handling on the property and its runoff impact on a small tributary stream initially prompted the Berks County Conservation District (BCCD) to approach the landowner. High in nutrients and bacteria, manure in stormwater runoff contributes to excessive plant growth and algae blooms in the waterways, depleting the water of dissolved oxygen as the plants die. Fish and other aquatic creatures cannot survive if dissolved oxygen levels are too low. The presence of pathogens in source water may increase the cost of downstream drinking water treatment. Agriculture runoff can introduce cryptosporidium, which may persist through water treatment and cause illness among immuno-compromised individuals. When approached by BCCD, the Woolf’s were very receptive to short-term remediation measures and were eager to consider long-term solutions as well. 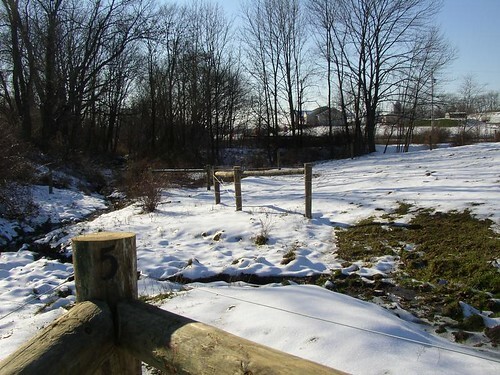 With Schuylkill Watershed Initiative Grant funding, the Berks County Conservancy installed over 4,000 feet of stream bank and exclusion fencing, and introduced native plantings for riparian and stream bank stabilization. This fund also paid for a Conservation Plan, and a Nutrient Management Plan. With these plans in place, the Woolf farm qualified for a U.S. Department of Agriculture, Natural Resources Conservation Service Environmental Quality Incentive Program ranking. 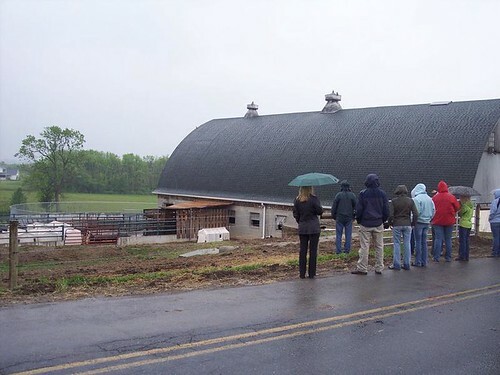 Funds from that program, matched by yet another grant from the Exelon Corporation, allowed the Conservancy to address the Woolf farm’s entire manure handling and storage operation, thus eliminating manure contaminated runoff and protecting the stream from excessive nutrient and bacterial pollution. 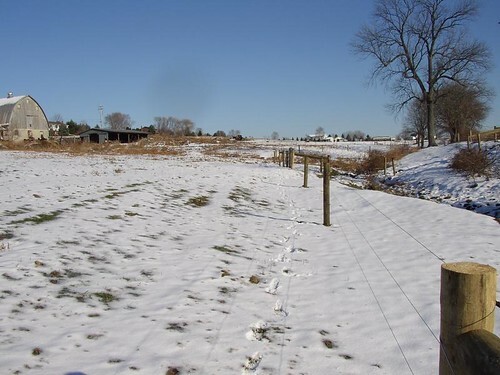 Phase 2 included a cattle crossing that was installed over a grassed waterway to allow protected access from the barn to the pasture. 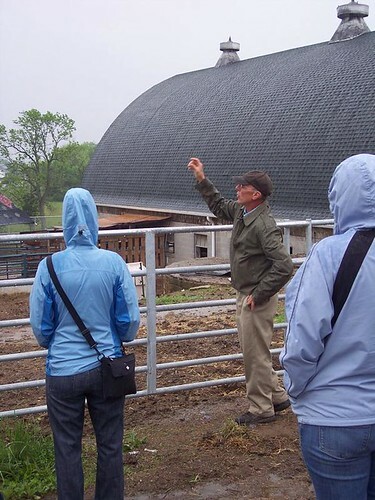 Perhaps the biggest improvement at this location was the construction of a manure storage facility and the installation of a piping system to efficiently move manure from the milk house to the storage facility. 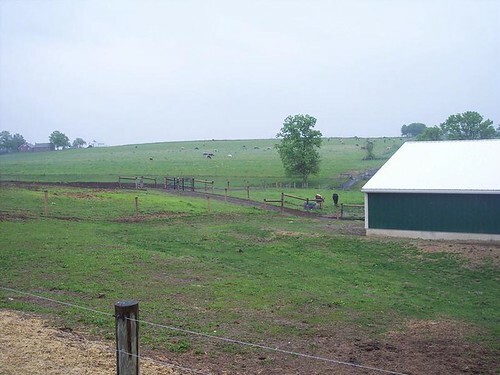 Both the improper storage of manure as well as the forced spreading of manure onto local agriculture fields led to a significant impact on the local watershed.